Virtualization is the process of creating a software-based (or virtual) representation of something rather than a physical one, as it applies to applications, servers, storage, and networks. It and is the most effective way to reduce IT expenses while boosting efficiency and agility. The majority (over 80%) of business workloads today are virtualized, though small- to medium-sized businesses are lagging behind at about 40%. Are you Ready to Virtualize? The simple answer is that you can't afford not to virtualize. You will be spending significantly more on IT than businesses that rely solely on physical resources. Additionally, your IT will be more complex, and thus, far less efficient, and as a result, you will more likely suffer disruptions in business, and experience lost revenue. New business and IT initiatives will require the right technology platform. Virtualization allows greater flexibility in handling new opportunities, making deployment and scaling of resources faster, cheaper, and more efficient. Cloud, mobility, big data, social media, and IT consumerization are realities of today's workforce, and businesses must virtualize to keep up. This book, compliments of Hedvig and PTS, explores all the hype around hyperconverged and hyperscale storage and explains these storage technologies and architectures to help you understand the similarities and differences of both approaches. We’ll help you determine the best solution to support your organization and examine virtualization, OpenStack, Docker and backup use cases. You’ll be ready to make the business case – whether it’s hyperscale, hyperconverged, or a hybrid mix of both storage strategies for your enterprise. What's all the hype about Hyperconvergence? Gartner says Hyperconverged Integrated Systems will be mainstream in five years; is it time for you to get on board and streamline your IT? PTS can explain the benefits of hyperconvergence to you in just 15 minutes.We will explain how to operate your IT for a considerably lower cost, in less time, and how to reduce your disaster recovery time from hours or days to just minutes? Are you Interested in Hyperconvergence? PTS has prepared a short (15 minutes) personal presentation covering the clear benefits of converting to hyperconverged infrastructure. You've heard all the hype, now start reaping the benefits. SimpliVity commissioned Forrester Consulting to conduct a Total Economic Impact™ (TEI) study and examine the potential return on investment (ROI) that enterprises may realize by deploying its hyperconverged infrastructure technology. About Forrester Consulting: Forrester Consulting provides independent and objective research-based consulting to help leaders succeed in their organizations. The IT Solution Experts at PTS are offering an innovative, new, complimentary assessment service: the PTS Virtual Environment Performance Analysis, or VEPA. With VEPA, PTS will take a snapshot of your current IT environment, and will determine the optimal balance between physical, virtual, and hyperconverged infrastructure for your enterprise. PTS will work with you every step of the way. VDI, or Virtual Desktop Infrastructure, is a key initiative for many organizations looking to reduce administrative overhead while providing a more secure, flexible and reliable desktop computing environment for end users. Proper planning and good decision making are required to ensure a successful deployment. Choosing the right virtualization platform to host the virtual desktop implementation is often the first major decision and can make or break the entire transformation. The key to success of any VDI initiative is choosing the right virtualization software. VMware Horizon™ Suite, and more specifically VMware Horizon View™, delivers a personalized high fidelity experience for end users across all sessions and devices. It enables higher availability and agility of desktop services unmatched by traditional PCs, while reducing the total cost of desktop ownership by up to 50%. 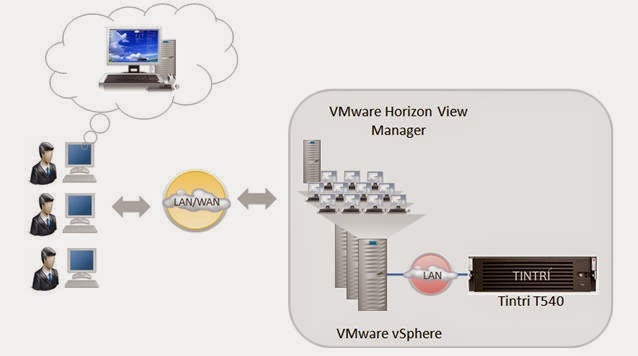 VMware Horizon View end users achieve higher levels of productivity and the freedom to access desktops from more devices and locations. PTS can deploy VDI from within PTS’ Cloud Data Center or from a hosted deployment. Contact PTS with your VDI needs, and we'll tailor a solution to match your requirements in your preferred environment. Zerto provides enterprise-class disaster recovery (DR) and business continuity (BC) software specifically for virtualized data centers and cloud environments. Zerto’s award winning solution provides enterprises with data replication & recovery designed specifically for virtualized infrastructure and the cloud. Zerto Virtual Replication is the industry’s first hypervisor-based replication solution for tier-one applications, replacing traditional array-based BC/DR solutions that were not built to deal with the virtual paradigm. Zerto Disaster Recovery for a Virtualized World Zerto’s award winning hypervisor-based replication software enables alignment of your Business Continuity & Disaster Recovery (BCDR) plan with your IT strategy. By using hypervisor-based data replication, you can reduce DR complexity and hardware costs and still protect your mission-critical virtualized applications. Zerto Replication for VMware Zerto’s replication for VMware enables automated data recovery, failover and failback and lets you select any VM in VMware’s vCenter. It’s that simple – no storage configuration necessary, no agent installation on guest required. Zerto Recovery for Hyper-V Zerto Virtual Replication, the industry’s first hypervisor-based replication solution for VMware environments, is now available for Microsoft Hyper-V. Purpose-built for production workloads and deployed on a virtual infrastructure, Zerto Virtual Replication is the only technology that combines near-continuous replication with block-level, application-consistent data protection across hosts and storage. Zerto Hypervisor Replication Zerto offers a virtual-aware, software-only, tier-one, enterprise-class replication solution purpose-built for virtual environments. By moving replication up the stack from the storage layer into the hypervisor, Zerto created the first and only replication solution that delivers enterprise-class, virtual replication and BC/DR capabilities for the data center and the cloud. 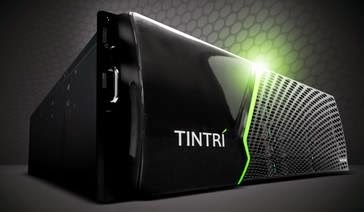 Looking for a reliable, cost-effective data protection and recovery solution? Tired of tedious tape back-up? Afraid your data center isn’t disaster ready? PTS Data Center Solutions announced July 10th it has been accepted as a Strategic Reseller Partner by Quorum. The announcement comes as Quorum continues to build momentum in delivering its appliance and hybrid cloud backup, recovery and continuity solutions. The award-winning Quorum series of appliance and hybrid cloud disaster recovery solutions makes continuity a reality for small to mid-sized companies, letting them recover from any type of disaster within minutes. 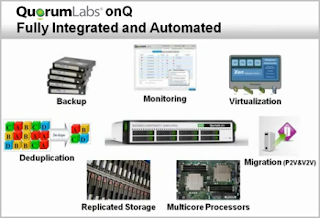 Quorum solutions are simple and cost-effective. If your company avoids just 30 minutes of downtime, the Quorum Solution typically pays for itself. The solutions are scaled to support smaller clients with just a few physical or virtual servers but can scale to support larger mid-size clients. The solutions are offered in a range of sizes to match almost any requirement and include processing, de-duplication, storage, and virtualization seamlessly integrated into the appliance. PTS' President, Pete Sacco, states he is very pleased to be able to deploy Quorum's solutions to our customers. Coupled with PTS' Business Continuity & Disaster Recovery Consulting Services, the Quorum appliance-based and Hybrid Cloud Disaster Recovery Solutions provide PTS clients with peace of mind knowing their revenue, customers, and reputation are safeguarded. There’s an interesting piece up at NetworkWorld.com on the leading trends in data center storage, titled “The New Style of Storage.” It touches on a variety of topics including e-discovery, eco-friendly storage technology, and virtualization. This is part 3 in a six-part series that examines the latest technologies and practices for building “the New Data Center.” Taken together, it’s a bit of a long-read, but well worth the time. Check it out when you have a chance. Want to weigh in on what you’ve read? I’d love to hear it. Post your thoughts on the comments page for this entry.